Glasgow will host the first televised major sporting event in Scotland since the recent Commonwealth Games. On Sunday 5th October, the largest running event in Scotland will take place as entrants make their way through the heart of Glasgow’s city. The runners can choose between competing in a 10k or half marathon, beginning in George Square before they reach the finish on Glasgow Green. Last year’s event (2013) saw a record breaking 30,000 participants, of a wide range of age and ability, take to the streets to have a fun weekend and hopefully accomplish set targets. Saturday 4th October is a day dedicated to encouraging, and potentially inspiring, children (0-15yrs), as they partake in the family oriented events. These include the Toddler Dash, Mini Run and Junior Run. 2013’s victor, who set a world age-group record in 61 minutes 9 seconds, Haile Gebrselassie, will again be lining up on the start line to see if he can go one better and beat his own record. The greatest long-distance runner of all time is in confident mood ahead of Sunday’s run as he played down the pressure of setting a new time. The 41 year old, two-time Olympic Gold medal winner, has had an incredible career, breaking 27 records in a variety of long distance events. Another great veteran, who herself recently tasted success, is 40 year old Team GB athlete Jo Pavey. Fresh from winning gold at the European Championship in Zurich, competing in the 10,000 metres, Jo is ready to face another challenge in Scotland after earning herself a bronze medal at the Commonwealth Games in the 5,000m. Prior to the event taking place, EventBeat have been moderating and curating various personal messages that have been posted online. Family members and friends have been encouraged to create comments to offer support at a specific stage during the event. 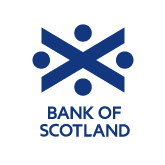 The comments will be viewed by the runners on ‘The Great Wall of Support’, sponsored by the Bank of Scotland, which aims to provide a fun and united element at the event. Due to the size and professionalism of Lloyds Banking Group, the posts must be moderated to ensure no offensive or embarrassing comments make their way onto the large screen. Each runner is allocated a special chip to place in their shoe, which alerts a database when he/she passes a designated checkpoint in the course. The chip has an exclusive code which matches up to the serial number used in the comment. This will then present the specific message on the large screen when the individual is running towards it and it is in clear view. Introducing this novel idea at the event allows for a more personable and jovial atmosphere between the competitors, whilst also creating an innovative way of motivating and supporting the runners involved.